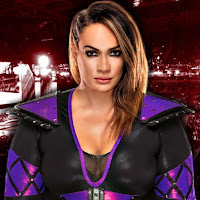 Nia Jax and Luke Gallows Trolling Fans About Their Relationship? Luke Gallows tweeted that he was in a relationship with Nia Jax. The tweet got some mainstream media, as The Sun ran a story about the alleged couple. Gallows and Jax were apparently just trolling fans as they "broke up" later that evening. You can check out the entirety of their relationship below.